She's perfect for your cookouts and fish fries. And a great stocking stuffer! No boring bottle opener for your guests. Everyone will want to know where you got this beauty. Or you could use her as a display item as shown in the photos by proping her in a bowl of shells or hanging her on the wall. Also, what a wonderful wedding favor these would make for a beach wedding! 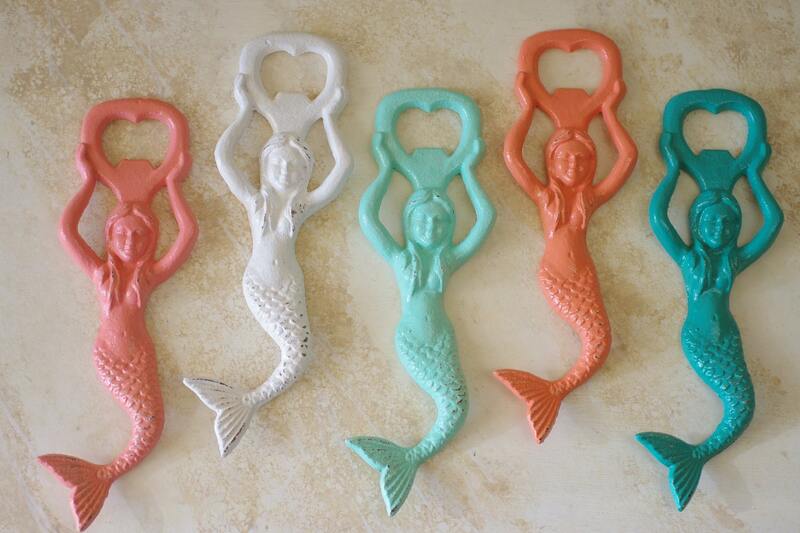 This listing is for ONE large mermaid bottle opener. Additional wall decor items in our shop!! Visit our shop for more items!! !